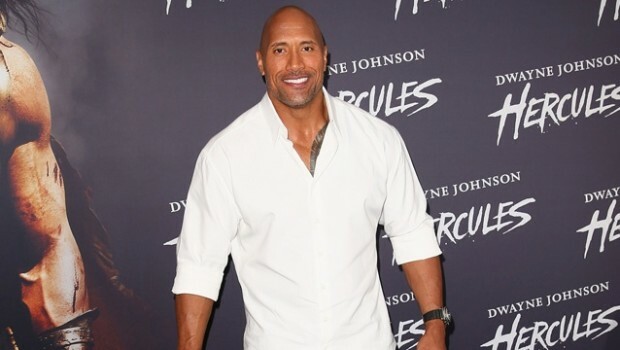 Has Dwayne Johnson Confirmed His Part In A “Shazam” Movie? Dwayne “The Rock” Johnson has long been linked with appearing in a DC Comics movie. And in particular, a movie version of ‘Shazam’. Well recently in an interview with Total Film, he’s dropped the heaviest hint yet that yes, he’s agreed to play a character that “has the power of Superman” but is not The Green Lantern (another character he has long been linked with) as they “already have a version of him” (Ryan Reynolds to make an appearance in the Justice League movie?). He cryptically ends with “Just say the word”. He also noted that we’ll be hearing more about it “real soon” and with San Diego Comic Con just round the corner, it looks like we’ll be finding out exactly who he’s playing then! Tags: DC Universe, Dwayne Johnson, Green Lantern, Justice League, San Diego Comic Con, Shazam!